Ever since I was a little girl, I have been in love with this white cake. 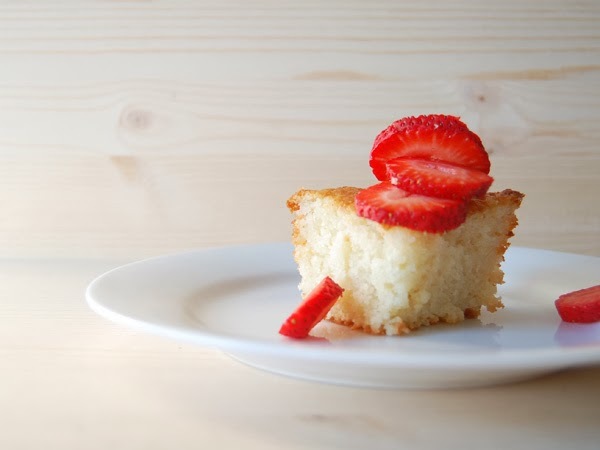 It makes a perfect strawberry shortcake, but it also tastes incredibly delicious on its own. Cream together the butter and sugar. Then add the 2 eggs and beat well. Add the milk. Then the dry ingredients and the almond extract and beat 100 strokes. Spread into a greased 8" square pan and bake at 350F for 40 minutes. Delicious!